This Sunday, May 13th, is Mother’s Day. Are you ready to show mom how much you love and appreciate everything she’s done for you? You still have time to make plans! Some people might wonder why mom deserves an entire day to herself. 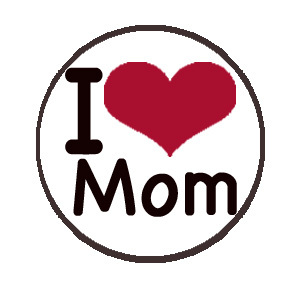 The answer to that should be pretty obvious: mom has done so much for us! Remember when you were growing up and you needed someone. The first person you most likely turned to was your mom. As a kid, mom was your constant cheerleader, nurse, chauffeur, chef, and much more. Without her, where would you be today? It’s thanks to mom that you grew up to become the person you are now. Mom was, most likely, your primary caretaker when you were an infant. While today sees more stay at home dads, this is a fairly recent trend. Mom fed you, changed you, and was probably the one getting up in the middle of the night when you cried. Most of us learned to ride a bike at some point or another, and inevitably we fell off and skin up our knees. Usually it was mom with a band-aid and a kiss to make it all better. She cleaned us up when we were dirty, fixed us up when we got hurt, and always encouraged us to get back up and try again. As we grew up, mom continued to do more and more for us. She’s the one who often drove us to soccer, dance, or choir practice. She was always there to get us after school when we missed the bus or when we needed to stay late for an after-school activity. Even as adults we often call on our mothers for advice. Sometimes it’s something easy like asking for a cooking tip, but sometimes we need mom to come help us out of a bad situation. Whether we need a little pick me up financially or just someone to listen to our problems, mom is only a phone call away. Mom has always been there for us in many different ways. It doesn’t seem enough to honor her only once a year. Fortunately, you don’t have to always wait until Mother’s Day to send her a lovely bouquet of flowers or just to tell her “thanks for being my mom.” Be sure to honor her on Mother’s Day, her birthday, and any time of the year you feel like telling her you love her. Let us help you with your Mother’s Day flowers in Kansas City, MO.